Love your holiday at The Cove Yamba and want to keep that feeling? We have a number of beautiful apartments within the complex for sale. 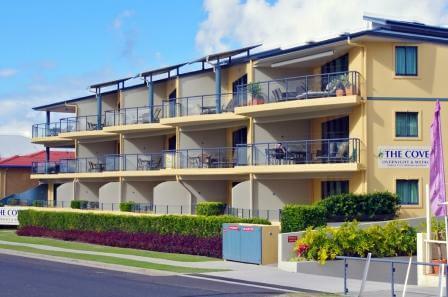 These apartments are all lovely and spacious, with large living areas and magnificent ocean views from the balconies. They are all fully furnished, with modern appliances included. Plus, there’s secure basement parking, with 2 car spaces per apartment, plus individual storage cages. You can choose to live here on a permanent holiday, or holiday let and reap the rewards.